The Liberty Collection is a suite of outdoor cooking components that adjoin with themselves or to existing DCS Grills in any combination you desire including built-in islands. 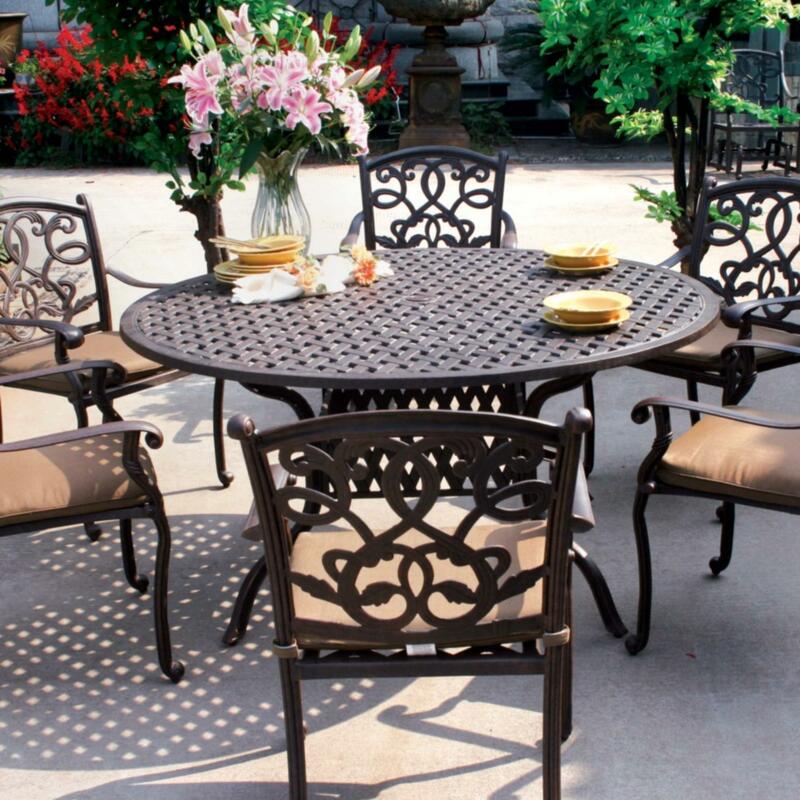 They give you the freedom to design your ideal outdoor kitchen island. With the DCS Series 7 Liberty Griddle and Side Burner of the Liberty Collection you have the ability to prepare delicious dishes that are not customarily cooked outside. Add pancakes and bacon to your outdoor breakfast menu with ease using the large griddle surface. 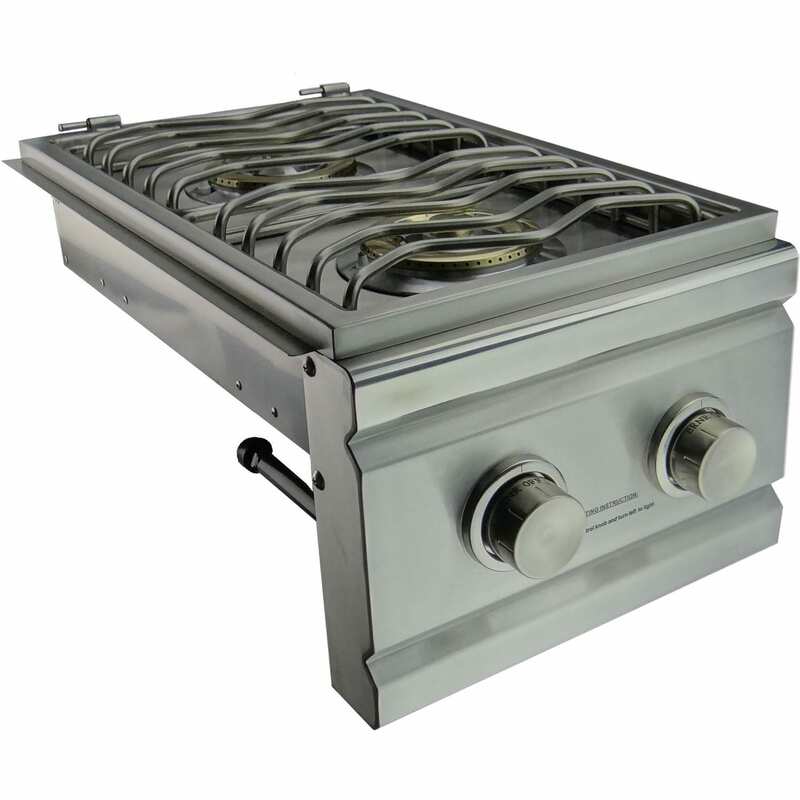 The griddle is powered by a 12,000 BTU precision ported, U-­shaped stainless steel burner. 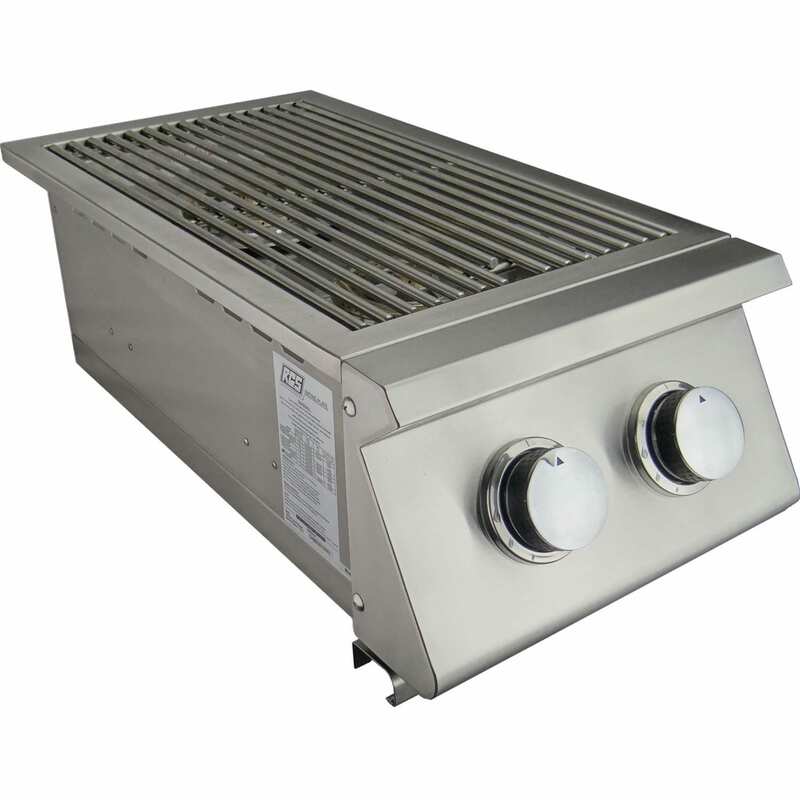 The dual side burner is equipped with two 17,000 BTU burners. This unit even allows you to effortlessly host an omelet bar in your outdoor kitchen. 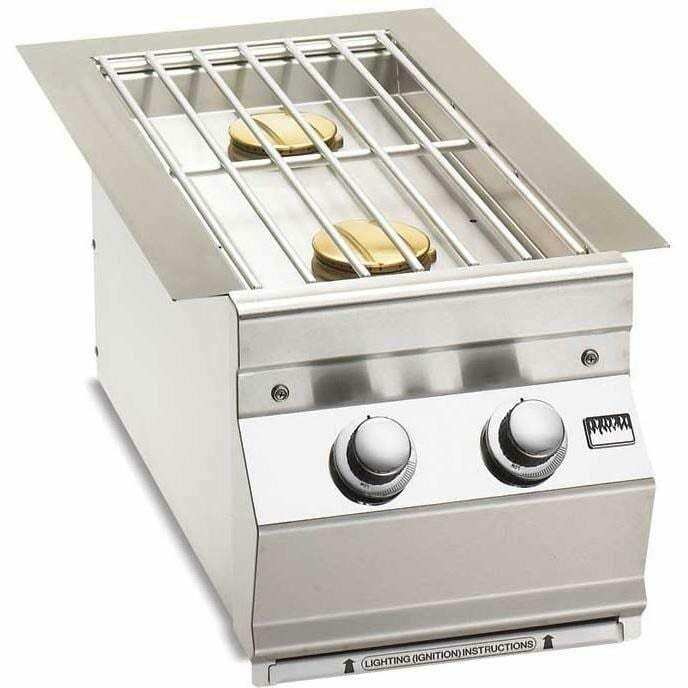 DCS Grills put you in control, giving you the versatility to cook what you want. 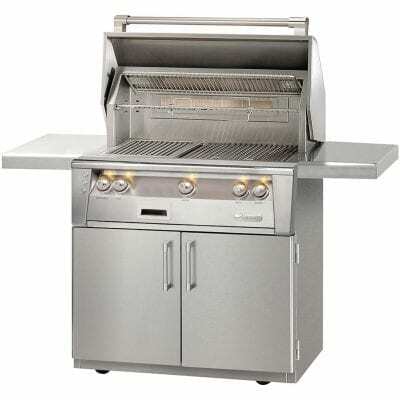 This unit combines premium styling with thoughtful design to deliver powerful performance and flexible grilling solutions. Add an optional CAD Cart to transform your DCS appliance into a versatile, freestanding mobile unit. DCS CAD Carts are constructed from 18 gauge, 304 grade stainless steel. CAD Carts feature multiple storage compartments for easy access to your condiments, serving trays, or grill covers. A series of Cart accessories offer maximum flexibility – the LP tank drawer can be converted into a two-bin trash drawer or simply a large capacity storage drawer.